Kaby Lake upgrade. Acer's gaming racer runs all current games smoothly on the Full HD display. The features are also appealing: IPS display, NVMe SSD, HDD, 16 GB RAM, and Thunderbolt 3. 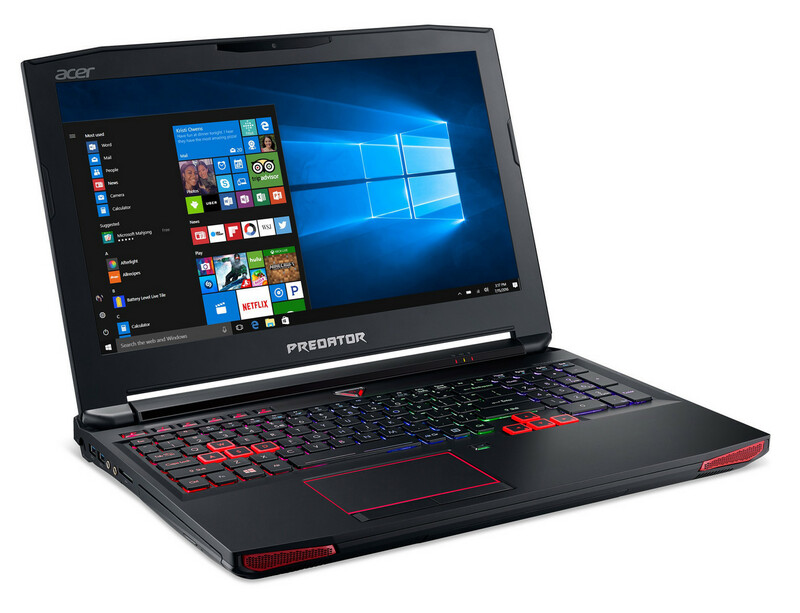 The Predator 15 G9-593-751X is the newest representative of Acer's gaming notebook series. This is a sibling model of the Predator 15 G9-593-765Q that has an identical build and we have already tested. Differences between the computers can only be found inside: The new model brings a Kaby Lake processor. In terms of the graphics core, nothing has changed. Both racers have a GeForce GTX 1070 on board. 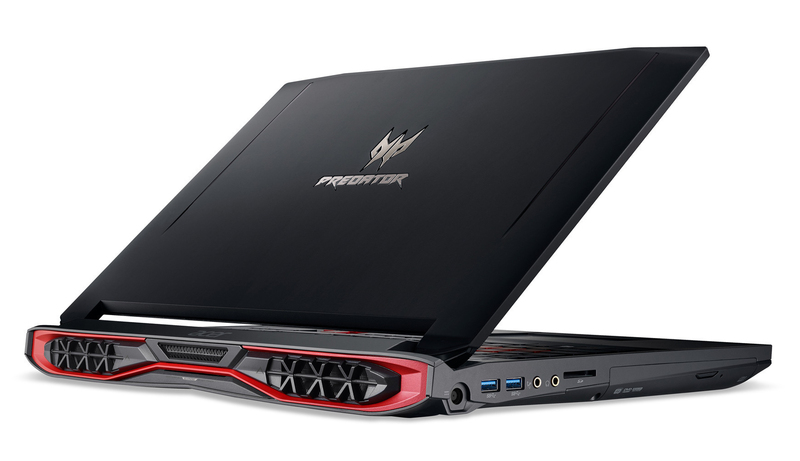 The competitors of the Predator include computers such as the MSI GT62VR 7RE-223, the Alienware 15 R3, and the Asus Strix GL502VS. Since both of the Predator models have an identical build, we will not further discuss the case, features, input devices, display, and speakers here. 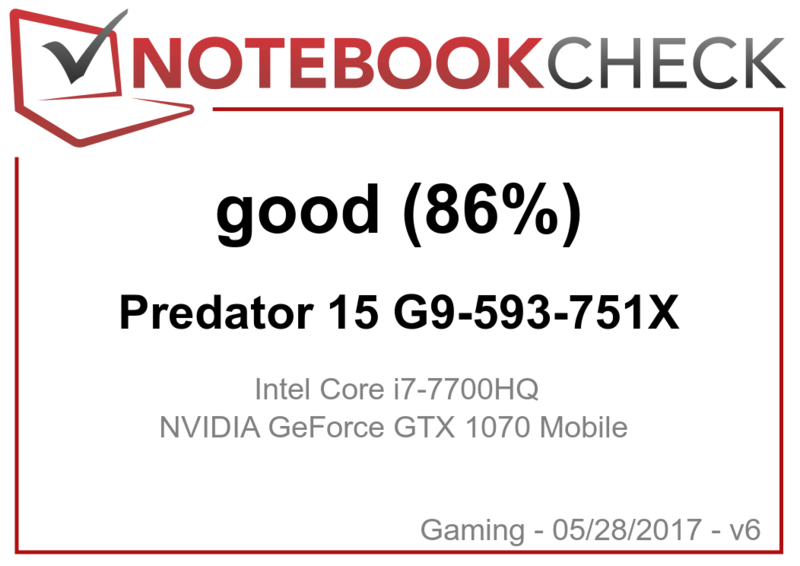 That information can be found in the Predator 15 G9-593-765Q Review. , DDR4-2400, dual channel, 4 storage slots (2 occupied), 64 GB max. The Predator 15 is equipped with a matte IPS display, which offers a good contrast and a decent brightness value. 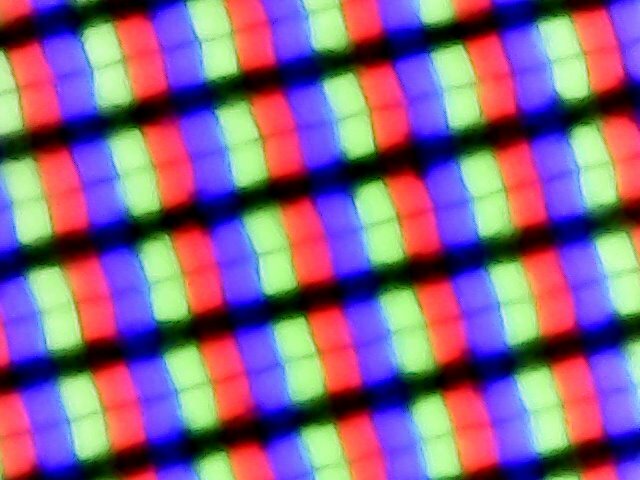 This is the same display as that of the Predator 15 model we have already tested. Nonetheless, the measurements come out slightly different. This is normal since two similar panels will never have values that are 100% identical. 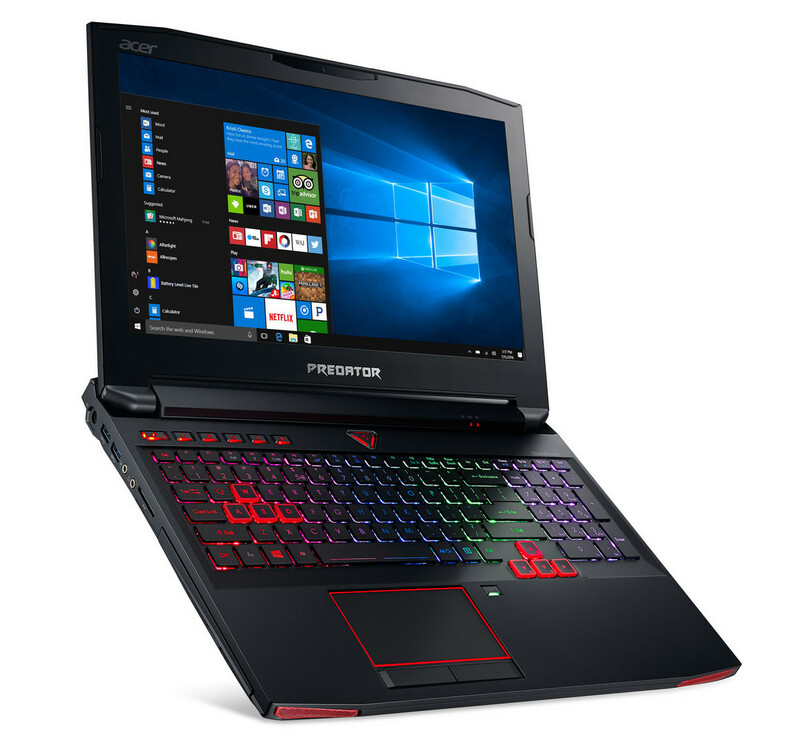 As most of the gaming notebooks we tested recently, the Predator 15 is also equipped with the Core i7-7700HQ (Kaby Lake) four-core processor. 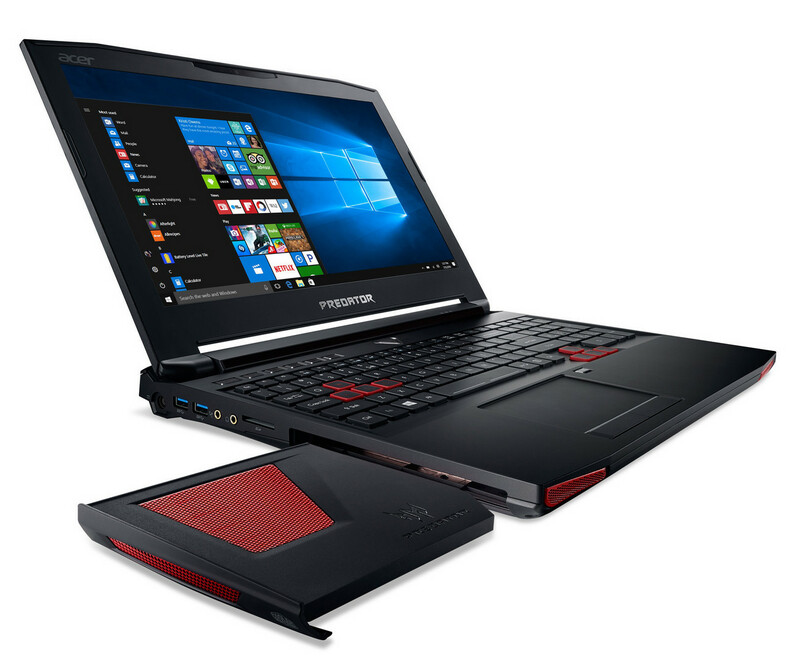 Since this CPU offers a good compromise between computing power and power demands, it offers the best choice for (mobile) gaming notebooks. It runs at a basic clock speed of 2.8 GHz, which can be increased via Turbo to 3.4 GHz (four cores), 3.6 GHz (two cores), or 3.8 GHz (single core). With that, the clock speeds are between 200 and 300 MHz higher than those of the Skylake predecessor (Core i7-6700HQ). Accordingly, the 7700HQ achieves results that are up to 10% better in the CPU tests we ran. There are no performance improvements through architectural changes since there are hardly any technical differences between Kaby Lake and Skylake. 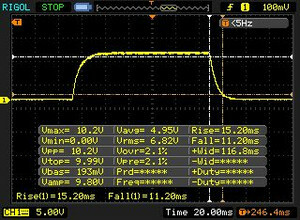 In mains and battery operation, the CPU runs through our tests with 4 GHz (Multi-thread) and 3.4 to 3.8 GHz (Single thread). 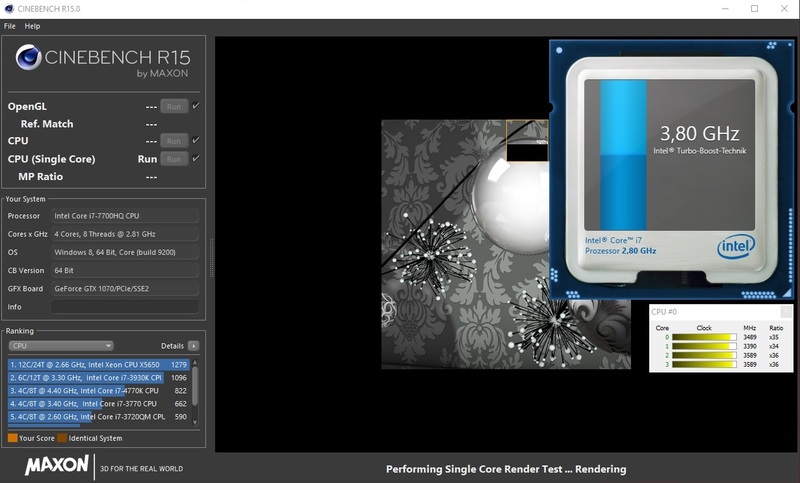 We test whether the Turbo is used over a longer duration by running the Multi-thread test of Cinebench R15 in continuous loops for about 30 minutes. After the first run, the result drops minimally (1% - 2%) and then remains on that level, so there is no drop in performance. A powerful processor and an extremely fast NVMe SSD assure a system that will run very fast. 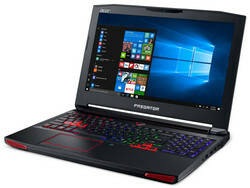 This is accompanied by excellent results in the PCMark benchmarks, which attest that the Predator 15 will also cut a fine figure in applications beyond gaming, such as image processing and video editing. The overall performance of the computer can be increased slightly by adding two further memory storage modules to the notebook. For the system drive, Acer bets on the extremely fast PCIe/NVMe SSD by Samsung. This is an M.2 model (2280) with a total capacity of 256 GB. 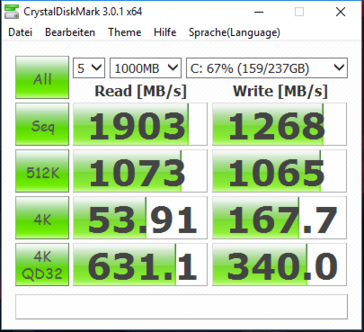 The transfer rates of the SSD are excellent. We used the standard NVMe driver by Microsoft. Samsung's NVMe driver does not lead to any increase in the transfer rates. 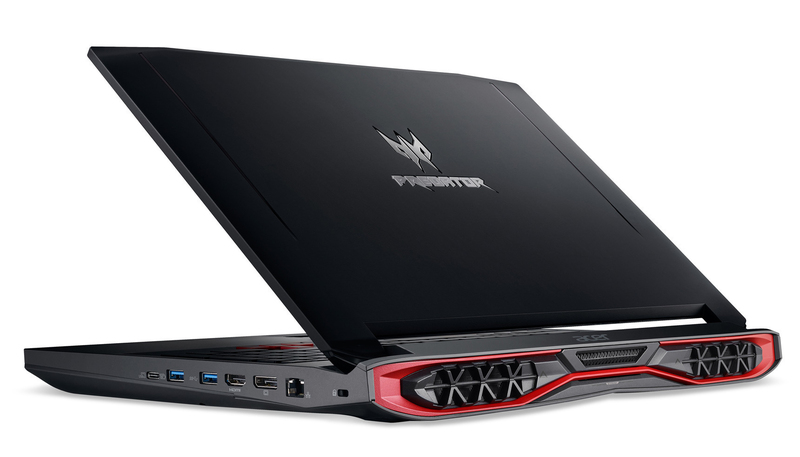 The Predator also offers a second M.2 slot, which is unoccupied. There is also a conventional 2.5-inch hard drive (1 TB, 5400 rpm), which serves as data storage. 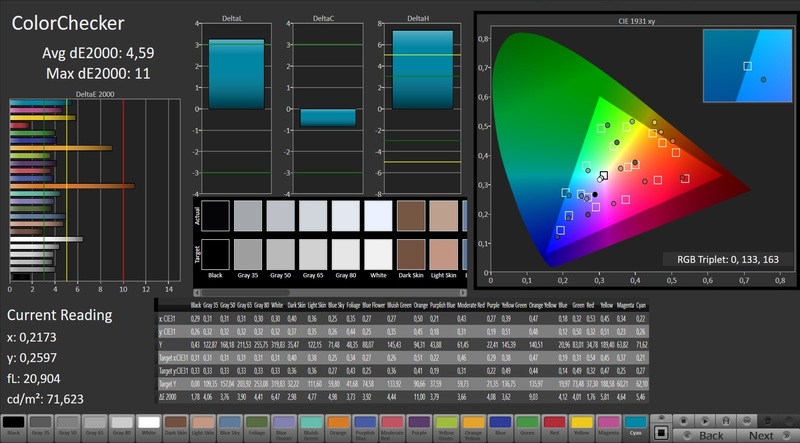 The Predator 15 does not offer a switching graphics solution. The integrated HD Graphics 630 GPU is turned off and cannot be activated. Thus the dedicated Nvidia GeForce GTX 1070 is always running. The GPU lies in the middle of the upper range of the current GPUs. 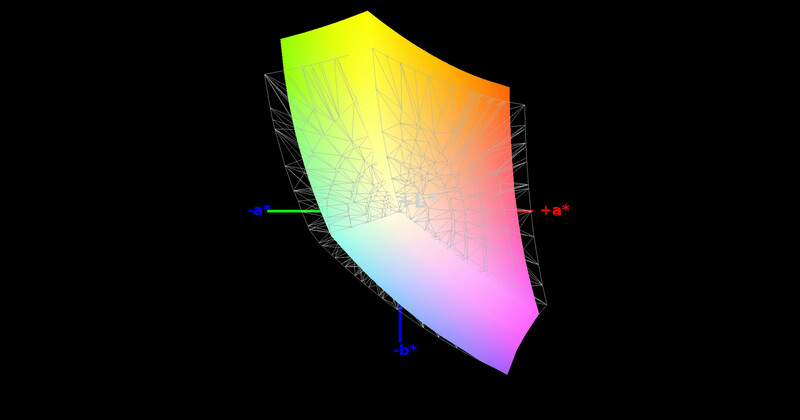 The Pascal core supports DirectX 12 and reaches speeds up to 1898 MHz. However, this value cannot be maintained for a long time. 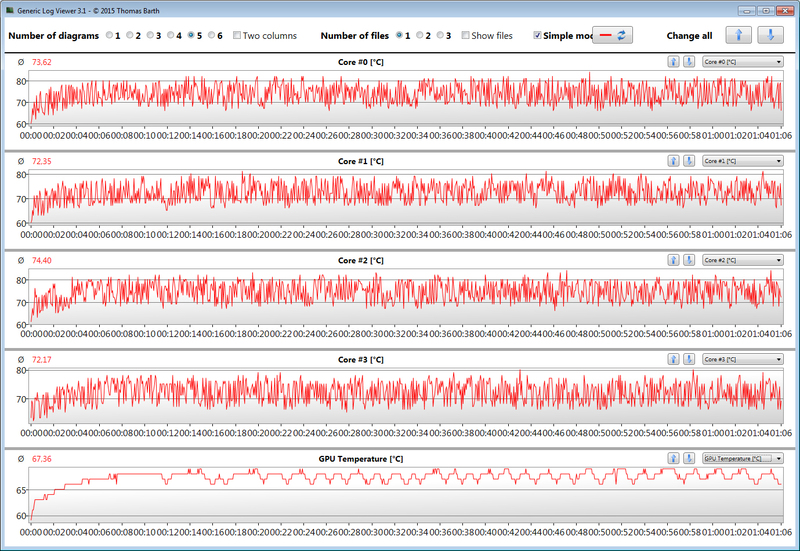 During our tests, we measured an average operating speed of about 1600 MHz. 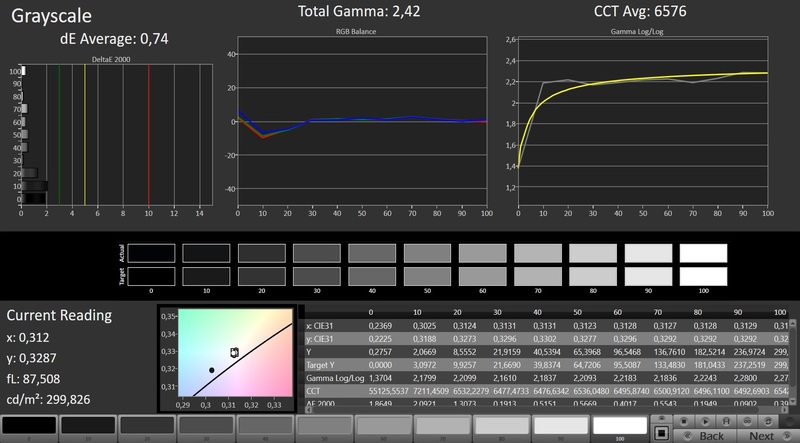 The GPU has a total of 8192 MB of GDDR5 graphics storage. 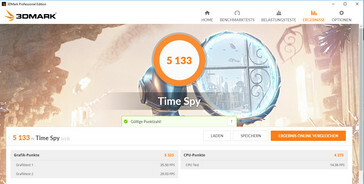 The results in the 3DMark benchmarks range on a normal level for this graphics core. 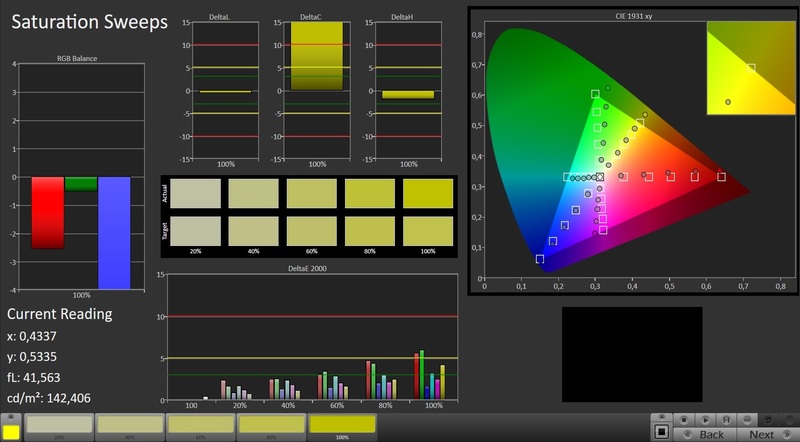 The hardware of the Predator 15 is powerful enough to bring all the titles represented in our database smoothly to the display. You can always select the Full HD resolution and high to maximum quality settings. The graphics core still offers enough reserves for 4K gaming, but you would have to connect the corresponding external monitor. With the help of the game The Witcher 3, we evaluate whether the frame rates remain constant to a large extent. To do this we let the game run for about 60 minutes in Full HD resolution and the maximum quality settings. The character that embodies the player is not moved for the whole time. 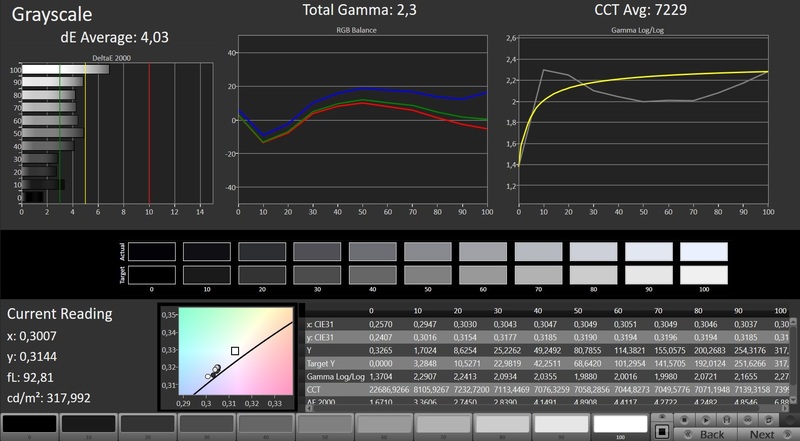 The frame rates remain mostly constant (54 to 61 FPS). With increasing duration, a slight drop is noticeable, since the Turbo drops off slightly. CPU and GPU run through the Witcher-3 test at high speeds. 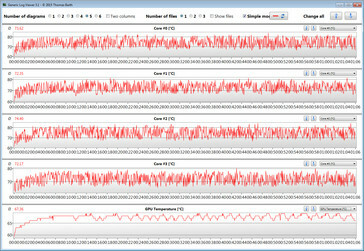 The heat development of the CPU and GPU remain within limits. When idle, the fans are constantly running at low speeds. However, they are not really audible, since the whirring of the 2.5-inch hard drive is louder than the fans. During load, the fans speed up noticeably. During our stress test, the noise level rises to 50 dB(A). While running the Witcher 3 test, the noise level varies between 38 and 45 dB(A). 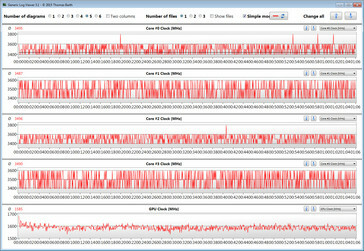 An electronic hum can be heard from inside the computer, when large amounts of data are moved on the SSD. 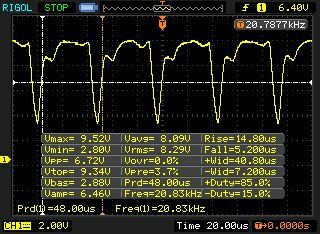 The Predator runs through our stress test (Prime95 and FurMark run for at least one hour) in different ways in mains and battery operation. 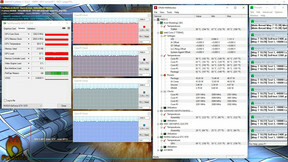 In mains operation, the processor runs at 2.8 to 3.5 GHz and the graphics core runs at about 1200 MHz. With this, the operating speed remains below the basis clock speed. This should not give reason for worry. 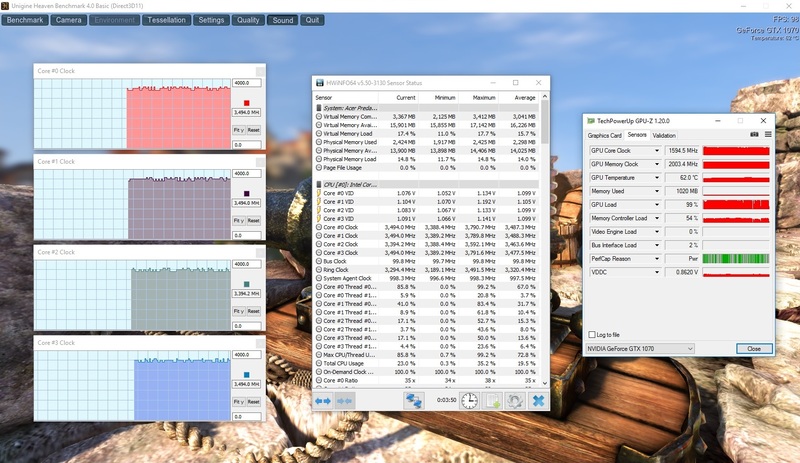 During normal gaming operation, the GPU speed is not throttled. 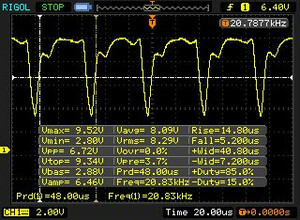 When the stress test is run in battery operation, the speeds drop to between 2.3 and 2.4 GHz (CPU) and between 750 and 760 MHz (GPU). 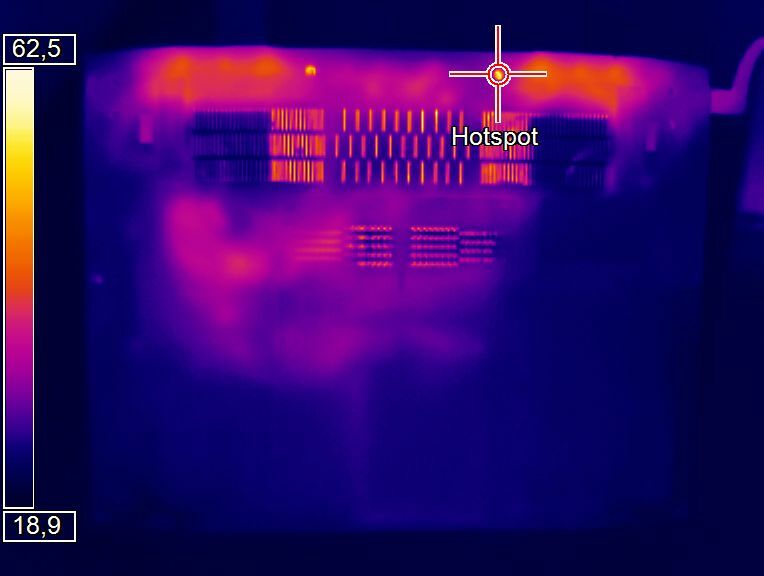 The computer heats up only very moderately. During the stress test, it exceeds the 40-degree-Celsius mark (104 °F) only at a few measuring points. During the Witcher 3 test (the game runs for one hour in Full HD resolution at maximum quality settings), it warms up a tad less. (±) The average temperature for the upper side under maximal load is 35.5 °C / 96 F, compared to the average of 32.9 °C / 91 F for the devices in the class Gaming. 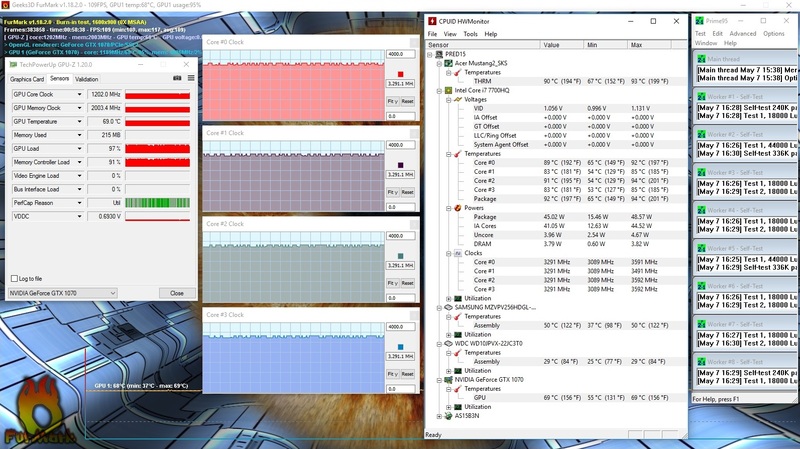 (±) The maximum temperature on the upper side is 42.3 °C / 108 F, compared to the average of 39.3 °C / 103 F, ranging from 21.6 to 68.8 °C for the class Gaming. (+) In idle usage, the average temperature for the upper side is 26.3 °C / 79 F, compared to the device average of 32.9 °C / 91 F.
(±) Playing The Witcher 3, the average temperature for the upper side is 34.8 °C / 95 F, compared to the device average of 32.9 °C / 91 F.
(-) The average temperature of the palmrest area of similar devices was 28.7 °C / 83.7 F (-3.4 °C / -6.1 F). When idle, the deactivation of the integrated GPU has a noticeable negative effect. The power consumption rises up to 30 watts. During load, the power consumption is at a normal level for the hardware used here, and the consumption rises to 213 watts during the stress test. 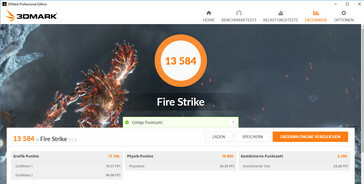 While running the Witcher 3 test, we measure a value of 168 watts. The included power supply is rated at 230 watts. 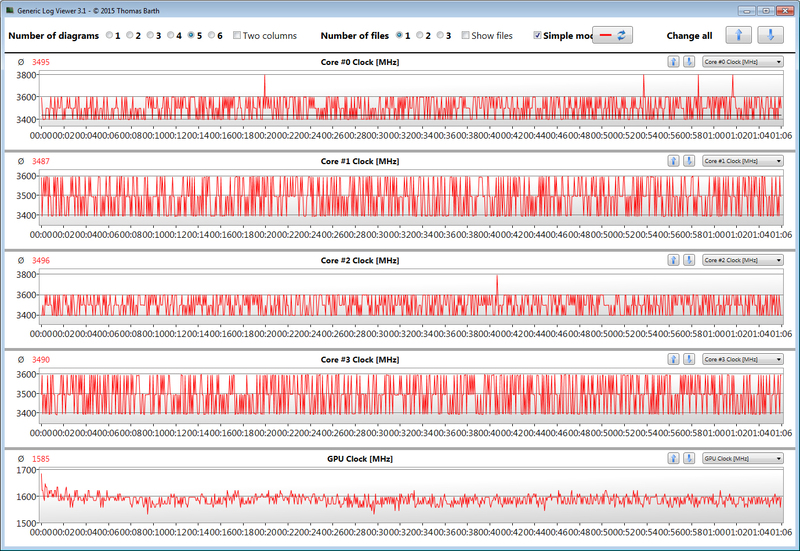 In our practically relevant WLAN test, the Predator achieves a runtime of 5:32 hours. We simulate the load when calling up websites with a script. The "Balanced" profile is active, energy-saving functions are deactivated, and the display brightness is adjusted to about 150 cd/m². One battery charge keeps our video test running for 4:55 hours. Here we run the short film Big Buck Bunny (H.264 coding, 1920x1080 pixels) in a constant loop. The wireless module and the energy-saving functions are deactivated and the display brightness is lowered to 150 cd/m². 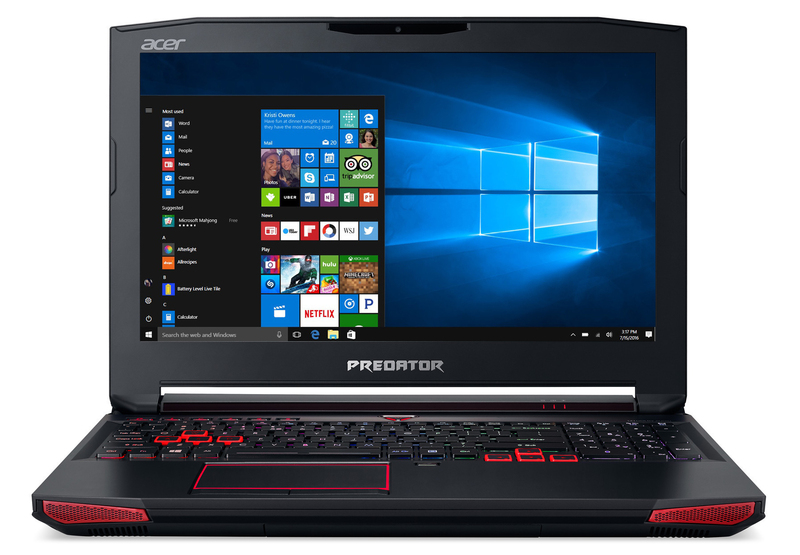 The Acer Predator 15 G9-593-751X mainly represents a Kaby Lake upgrade. The Core-i7-7700HQ four-core processor offers only a slight performance advantage against the Skylake predecessor. The built-in hardware brings all the current titles to the screen fluidly in Full HD resolution with high to maximum quality settings. 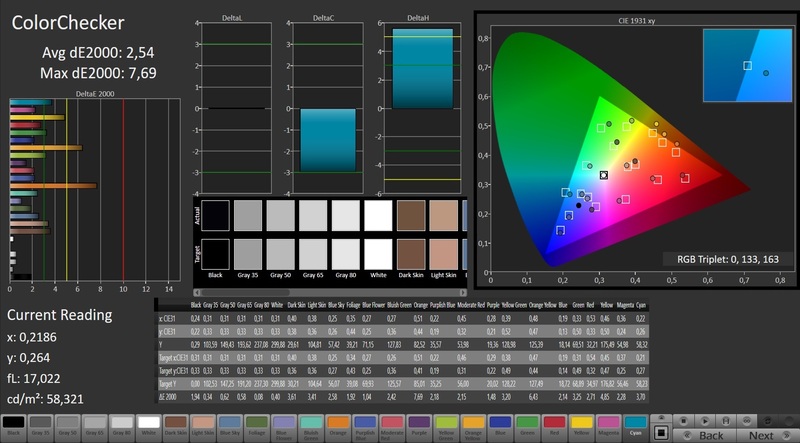 Nvidia's G-Sync technology assures a fluid presentation of the images on the 60-Hz display. The matte IPS Full HD screen appeals with good contrast and stable viewing angles. The brightness value is okay, but could have been higher. With the Predator 15, Acer delivers a rounded gaming notebook. 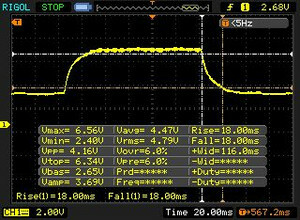 The noise development of the computer is on a normal level for a high-end laptop. 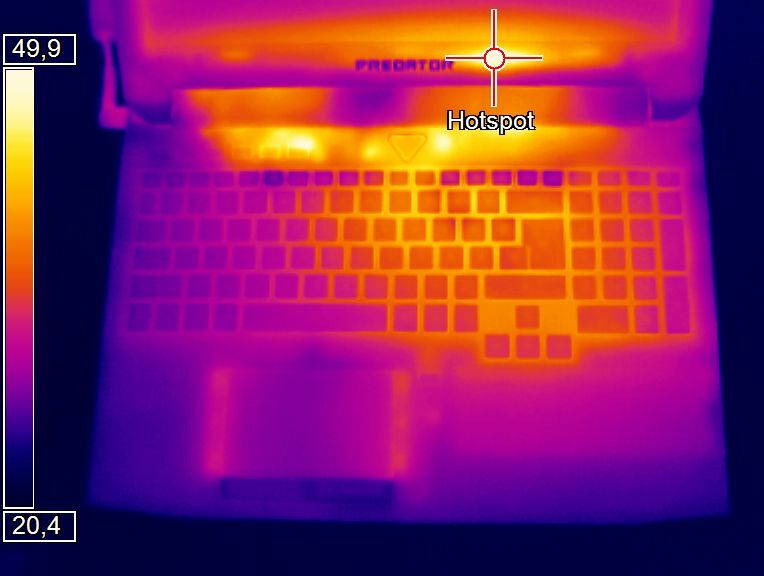 The heat development of the computer turns out relatively low, however. 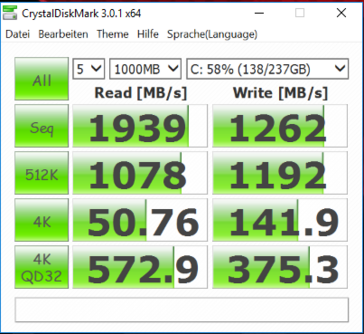 A fast NVMe SSD assures a quickly running system. A 2.5-inch hard drive that is also present provides for the necessary storage space with 1 TB capacity. Exchanging both drives would not be a problem since the computer has a maintenance flap.